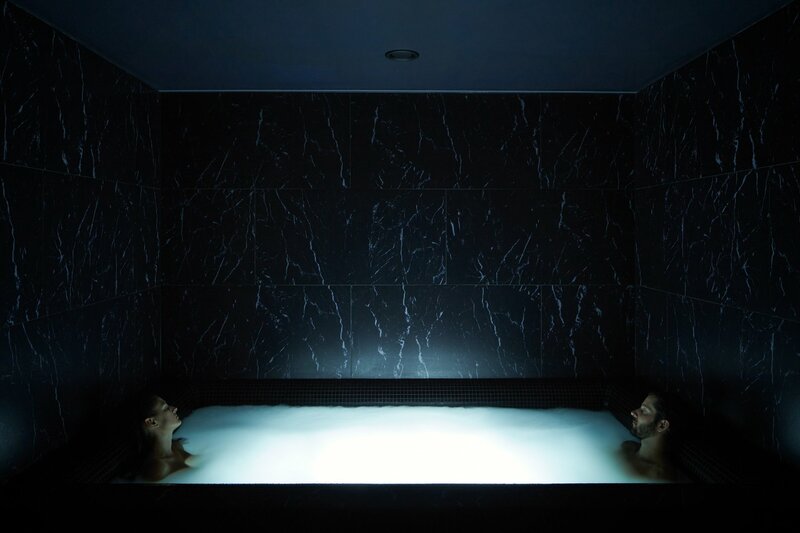 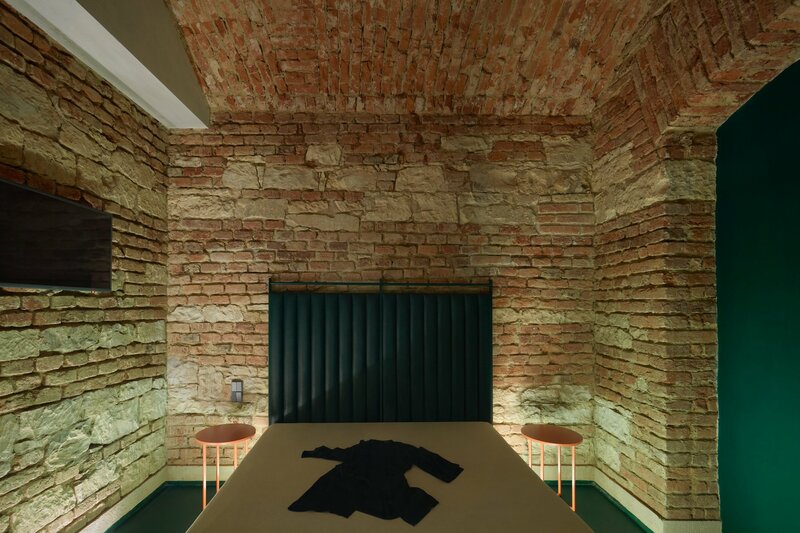 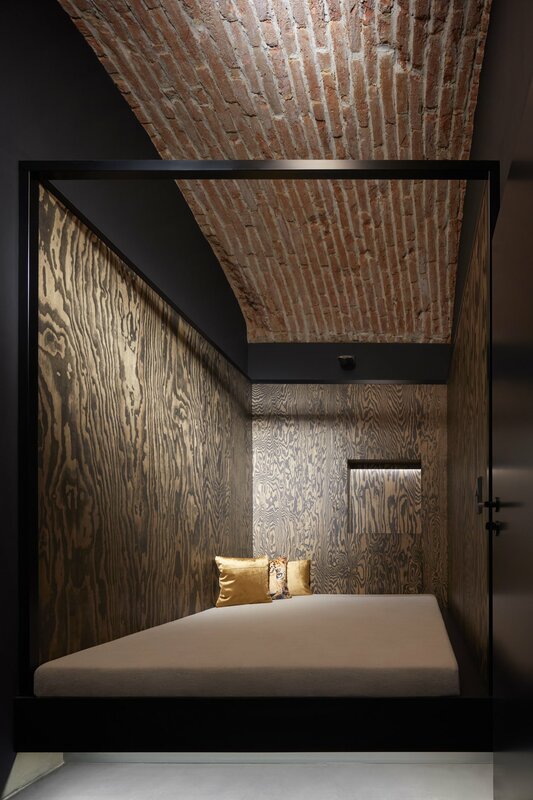 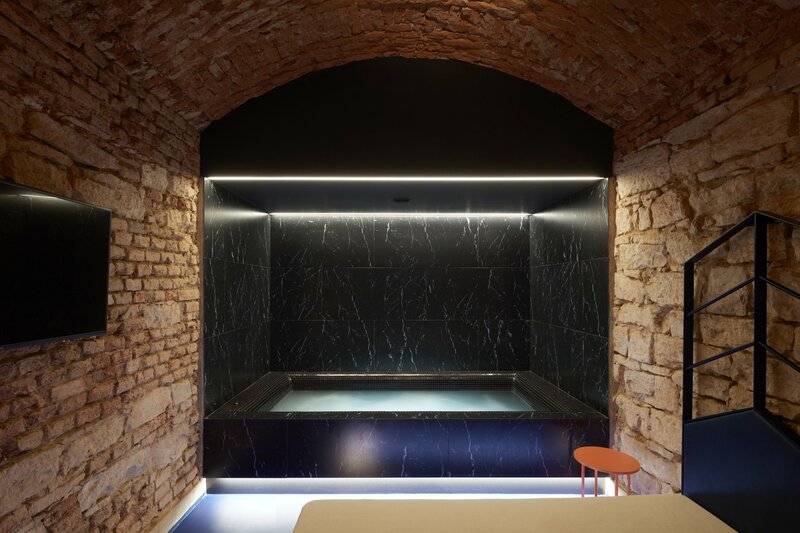 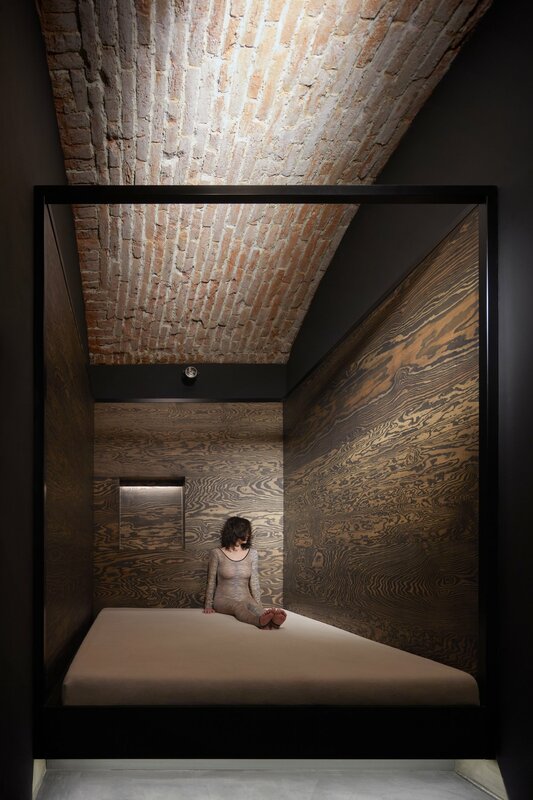 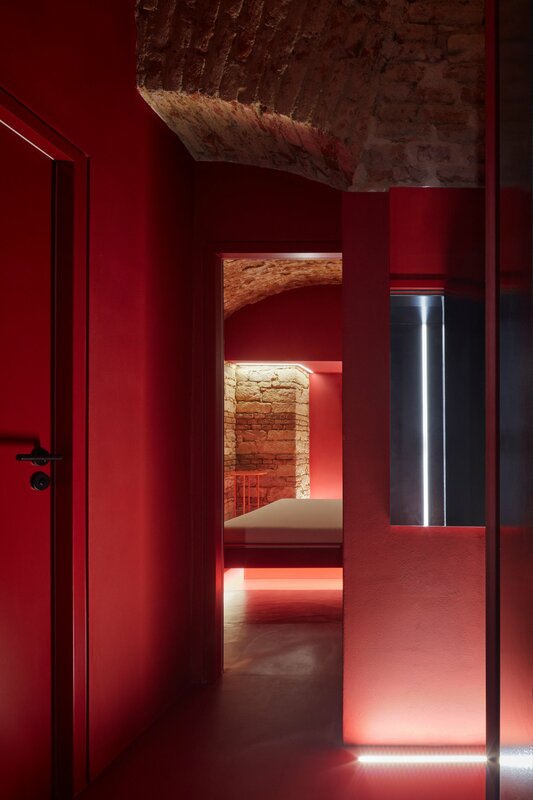 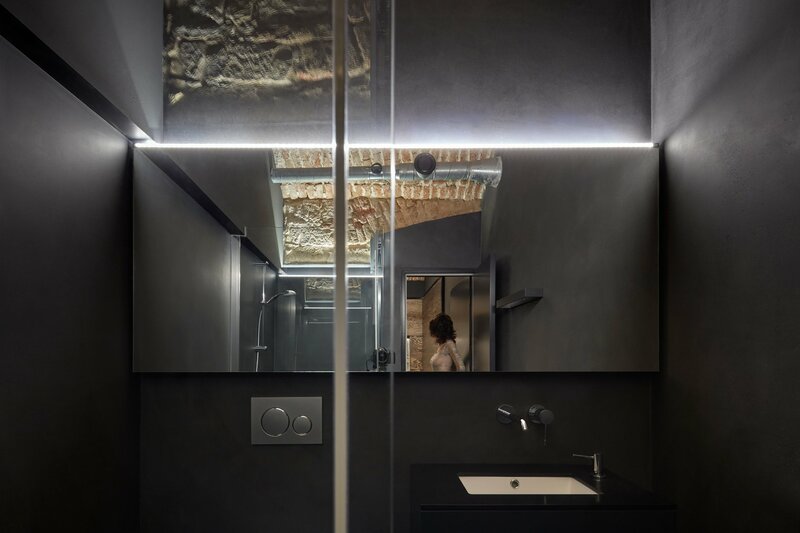 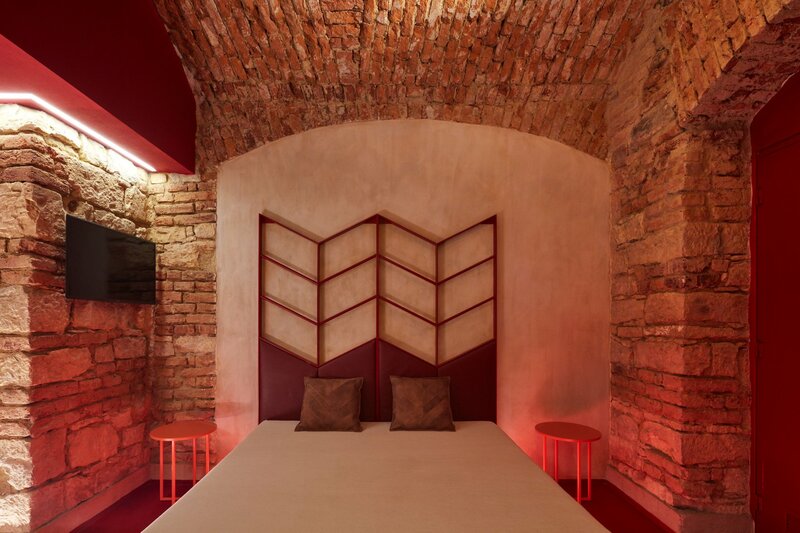 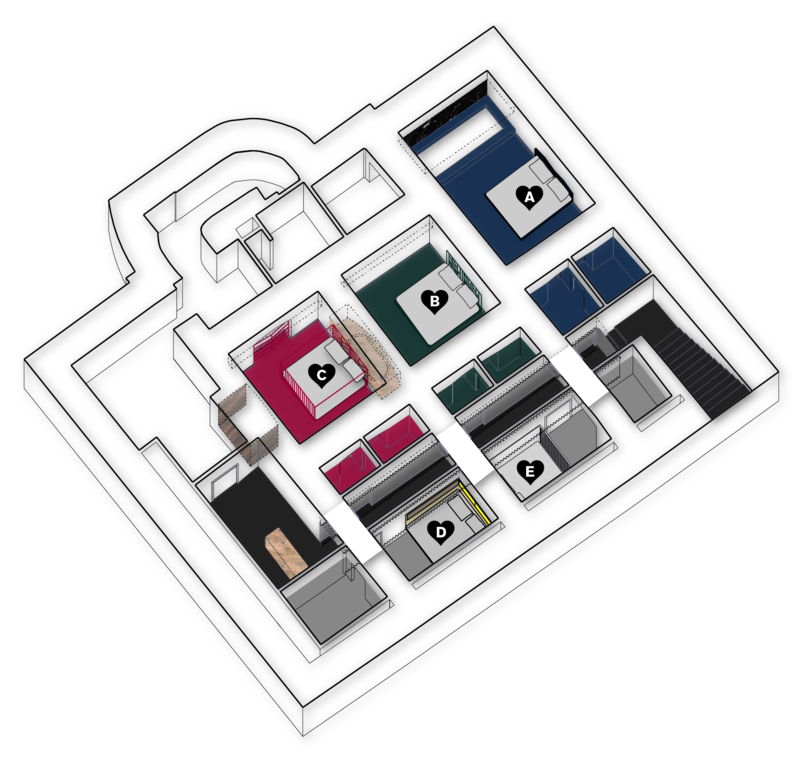 A design love hotel /spa is located in a 19th century basement. 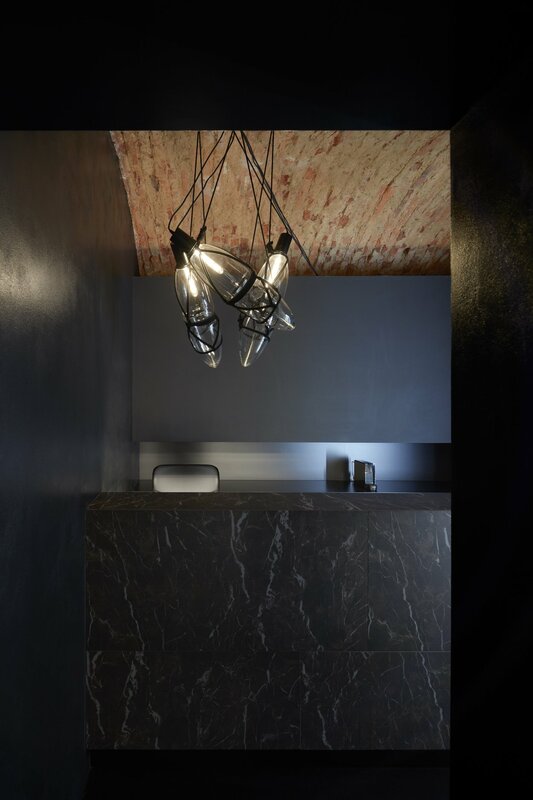 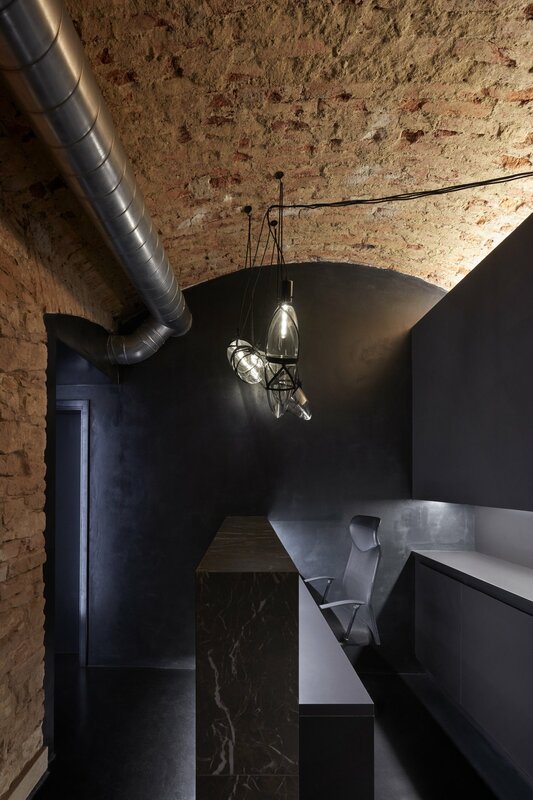 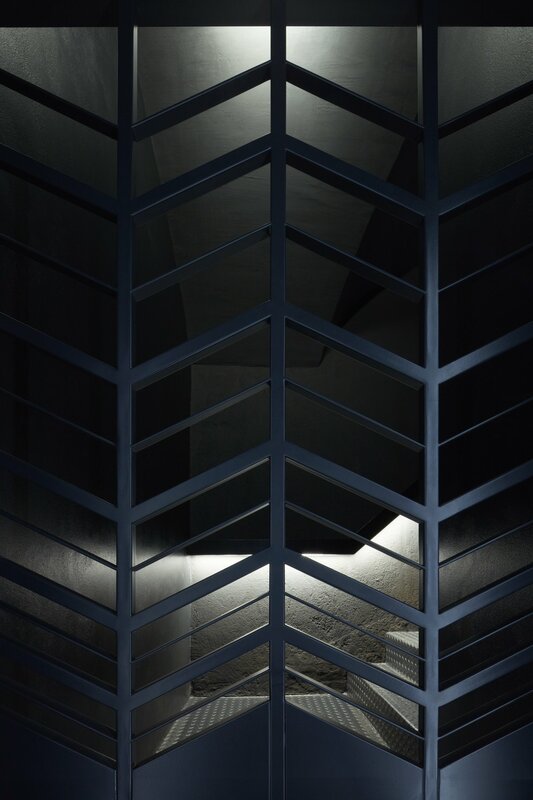 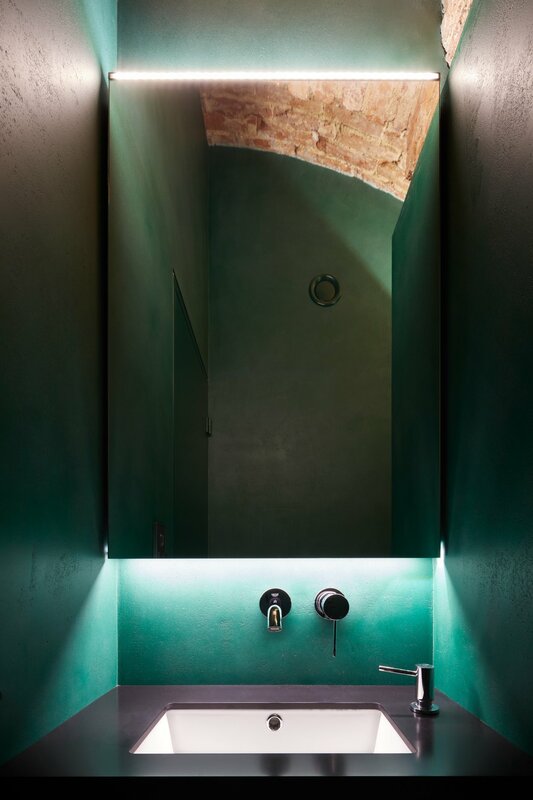 Design combines roughness of original walls and vaults with sleek contemporary materials in 5 different rooms with different atmosphere and colours. 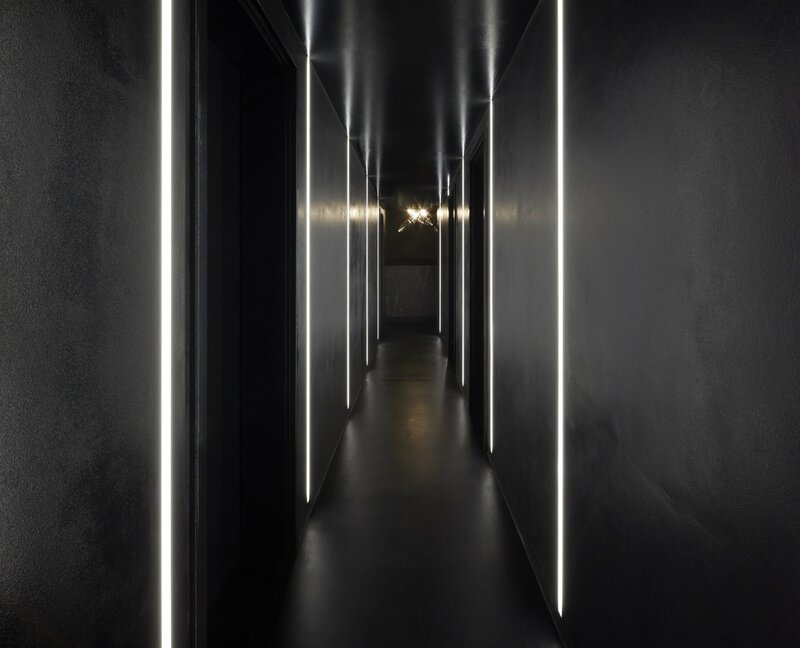 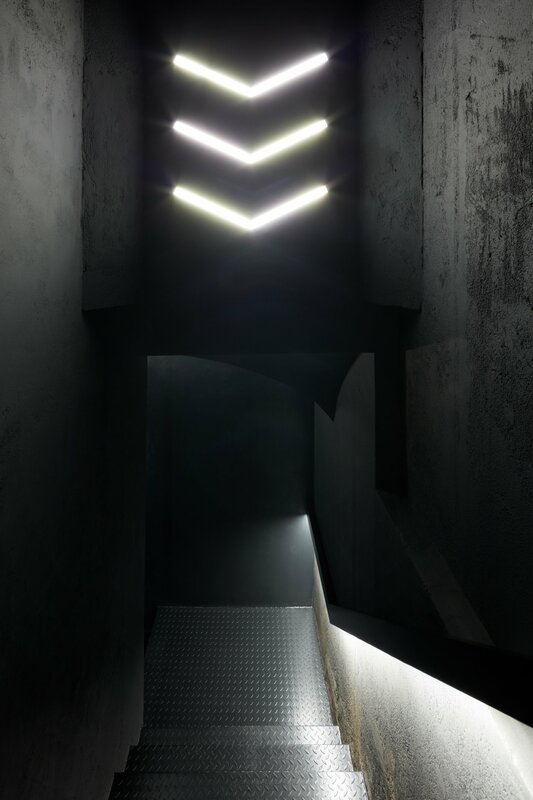 Entrance hallway serves as a mysterious privacy filter.